The pollution board found two tankers containing highly-concentrated effluents for which the company had not taken requisite approvals. 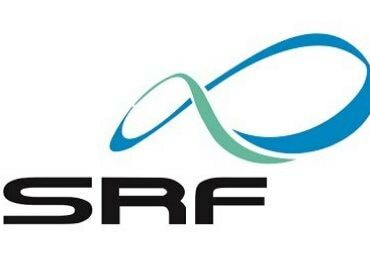 Shares of SRF slipped over 5 per cent to Rs 2,281.25 on the BSE in early morning trade after Gujarat Pollution Control Board directed the company to close the operations of its industrial plant at Dahej in Gujarat due to alleged non—compliance with the Water (Prevention and Control of Pollution) Act, 1974. The state pollution board, which inspected the chemical manufacturer’s industrial unit on March 25, found two tankers containing highly-concentrated effluents for which the company had not taken requisite approvals. The company, it said, failed to explain the presence of effluents and the final point of its disposal, according to a Bloomberg report. "The company is in the process of filing a detailed appropriate reply clarifying its position with regard to the issues raised. For the time being, in compliance with the aforesaid directions of Gujarat Pollution Control Board, the company is in the process of closing the operations at the site," SRF Limited said in March 29 filing to BSE. SRF Limited is a chemical based multi-business entity engaged in the manufacturing of industrial and specialty intermediates. The company's diversified business portfolio covers Technical Textiles Fluorochemicals Specialty Chemicals Packaging Films and Engineering Plastics. The company posted a 26 per cent year-on-year (YoY) rise in consolidated net profit at Rs 166 crore in December 2018 quarter (Q3FY19) on the back of higher revenue. The operational revenue grew 41 per cent at Rs 1,964 crore from Rs 1,397 crore in the corresponding quarter of the previous year. EBITDA (earnings before interest, taxation, depreciation and ammortisation) margin expanded 30bp YoY to 16.9 per cent in 3QFY19. At 09:38 am, SRF was trading 3.5 per cent lower at 2,318.60 on the BSE, as compared to a 0.59 per cent rise in the S&P BSE Sensex.